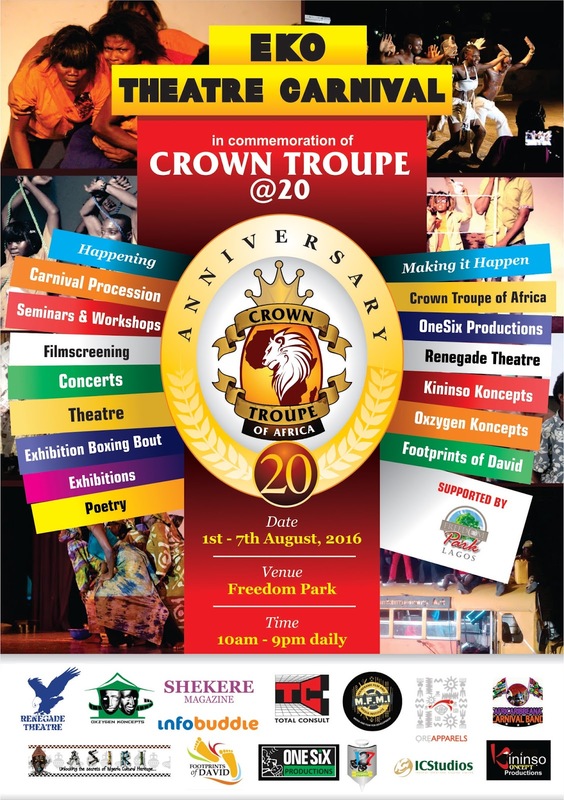 Although, it isn’t even Christmas yet, Crown Troupe of Africa will be giving to Lagos a 7 day fiesta of theatre art entertainment this August, as she marks her 20th anniversary. 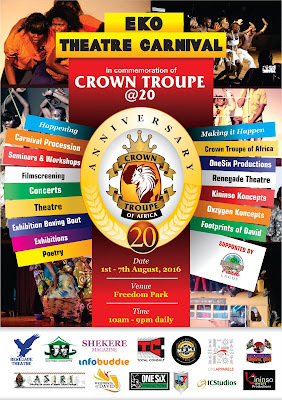 As part of events lined up to celebrate the attainment of this milestone age, the Troupe has just completed its tour of some Nigerian Universities (Lagos State University, University of Calabar and University of Abuja) with "Love at War" an adaptation of William Shakespeare “Two Noble kinsmen” from February till April. From May till June, Crown Troupe also produced "As E Dey Go" an adaptation of Bertolt Bretch's "The Exception and the Rule" which premiered at the Lagos Live Festival. 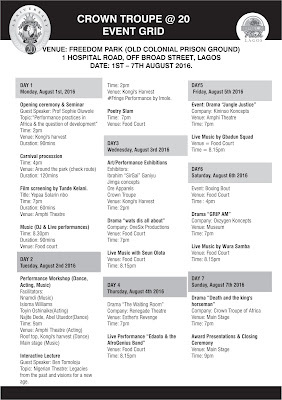 The anniversary celebration comes to an end with a befitting Theatre Carnival in the first week in August (1st – 7th). 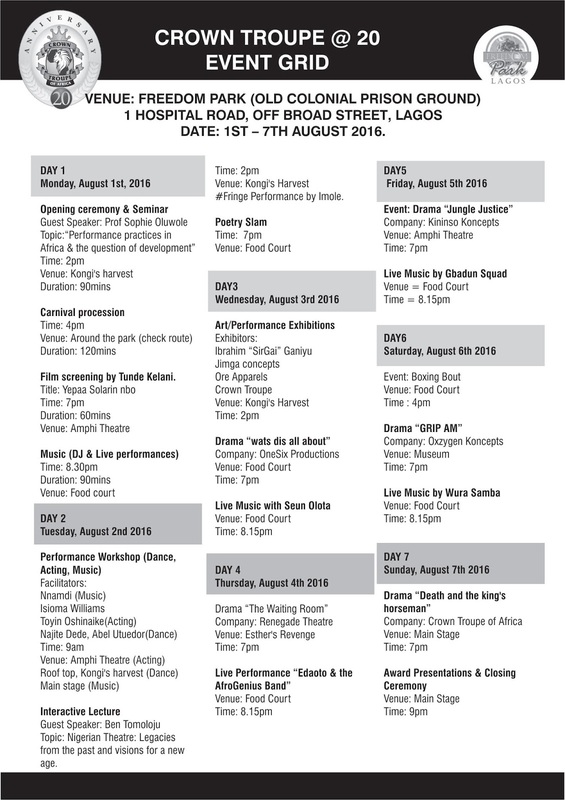 Simply going to be art at its very best.